Cyber security as a service is a combination of practices and processes employed to protect systems, networks and data from breaches, attacks and unauthorized access. Cyber security as a service for organizations is an operating expense (Opex) rather than capital expense (Capx) and it manages network security, confidential data protection and enables organizations to respond to incidents taking place immediately. The market has expanded at a promising pace in the past few years and continues to witness massive push as even small- and medium-sized enterprises are demanding cost-effective and reliable cyber security solutions. 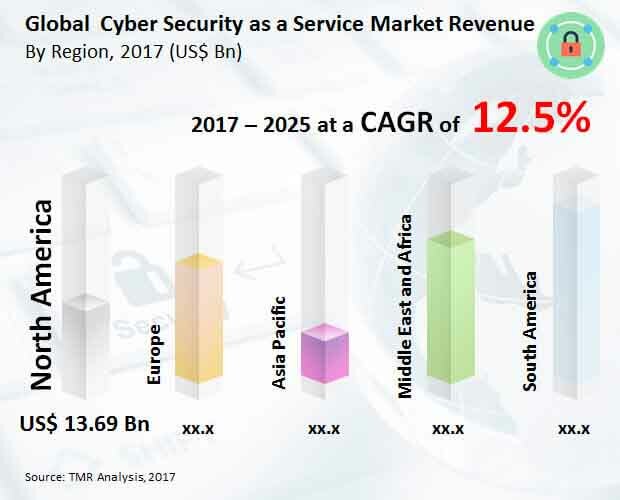 With millions of small- and medium-sized companies already existing globally and more coming up rapidly, the demand for effective cyber security modules such as cyber security as a service is also expected to rise at an unprecedented pace in the near future.